The Fifth Amendment protects a person to be a witness against himself, which means no individual will be compelled to say self-incriminating testimonies, including statements to the police while in their custody. The Fifth Amendment constitutes the Miranda Rights. The Miranda Rights is every person’s protection from a confession that a police officer will elicit from a conversation called interrogation. More so, it is a duty that every police officer is assigned to remind every citizen of his or her right; so that they will understand that they can’t become witness against themselves in the court of law. The Miranda Rights has been made famous by police films and TV series. It mentions the following rights: 1. Remain silent 2. Whatever you say can be used against you in the court of law 3. Hire an attorney and assure his or her presence during questioning in court 4. To be provided a lawyer by the state if you can’t afford one, and 5. In case you opted to talk to a police office, you can stop the interview at any time. Every citizen is entitled to be read their Miranda Rights when they are in custody of the police and they are about to be questioned by the police. However, if the police officer(s) who took you into custody have forgotten to read you your Fifth Amendment, it does not automatically mean you can escape punishment. There are specific exceptions that would make the police officers’ neglect of reading the Fifth Amendment insignificant. The detention was involuntary and took too long. If an individual is detained in hostile and unfamiliar surroundings. Brief and voluntary detention such as a filed interview. 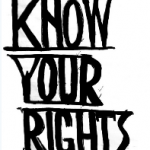 To use your Miranda Rights efficiently, it is best to hire an attorney.